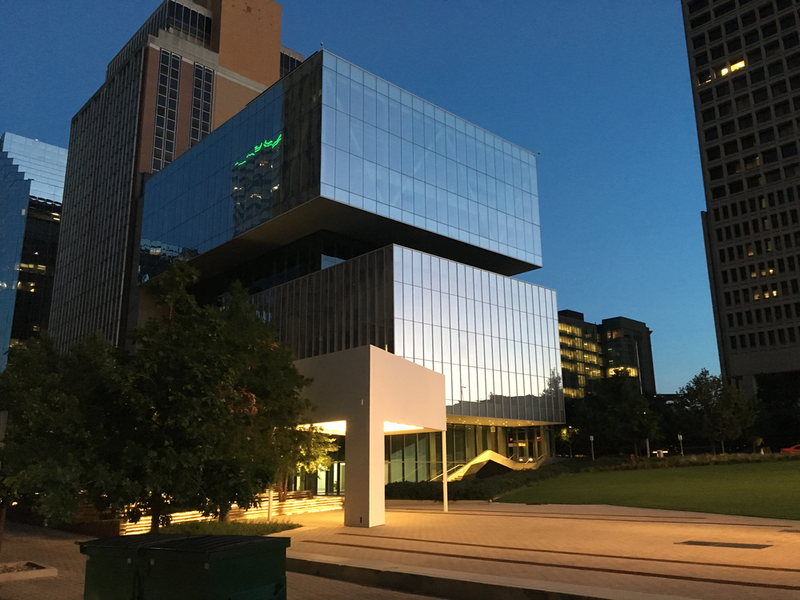 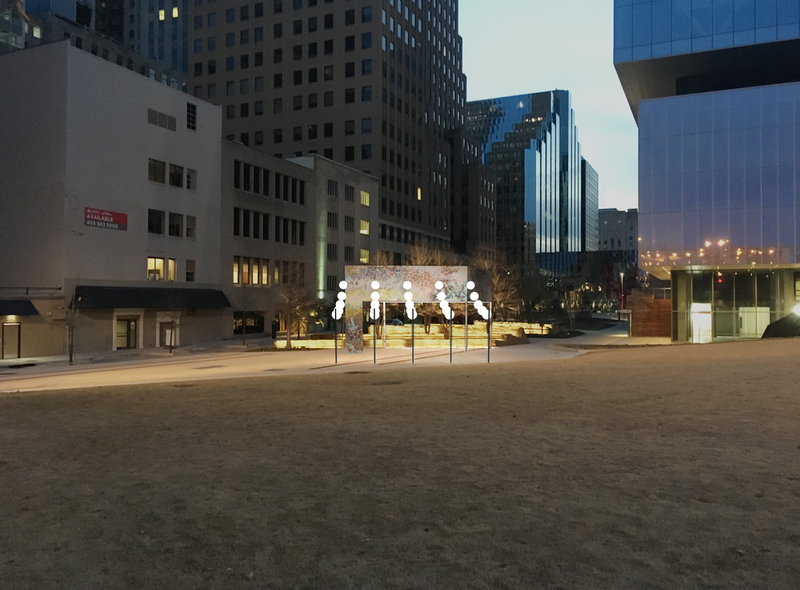 A new multi-purpose pavilion in Oklahoma City's Kerr Park. 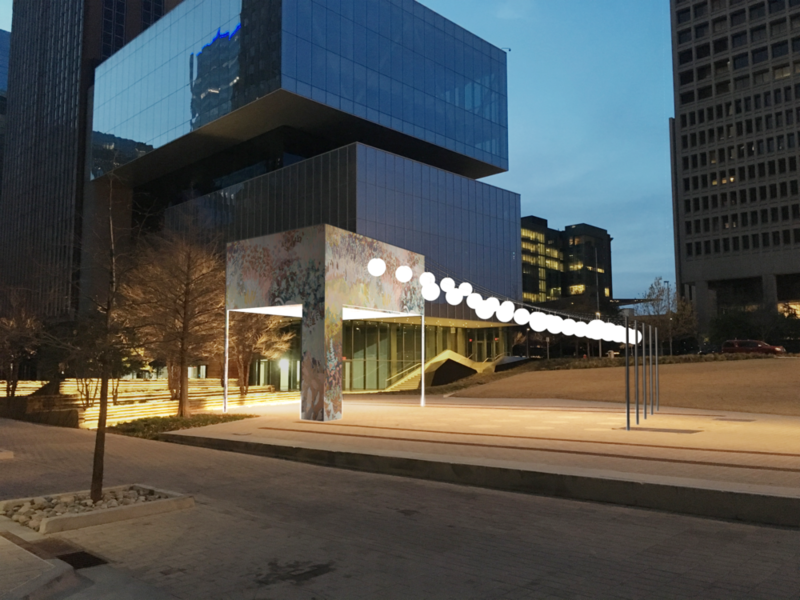 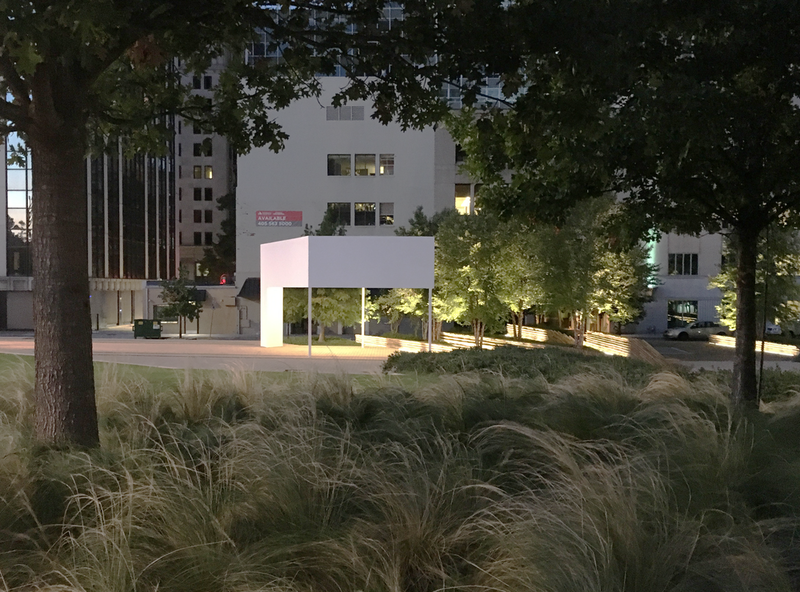 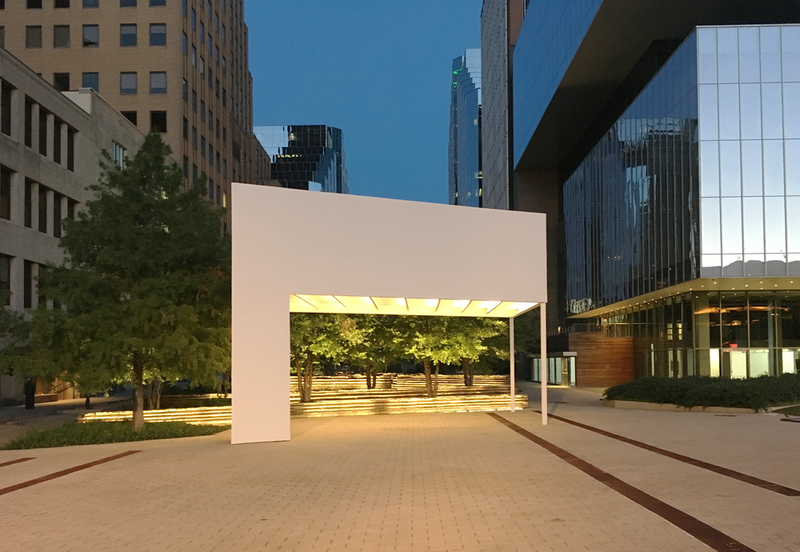 Read more about the Kerr Park effort by DOKC and PPS. 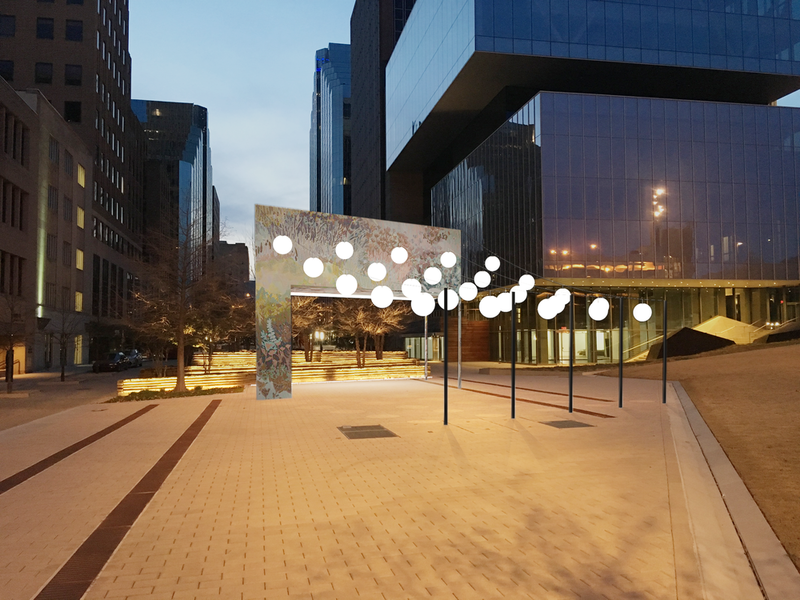 The design was conceived of as a canvas for rotating artwork by local artists.